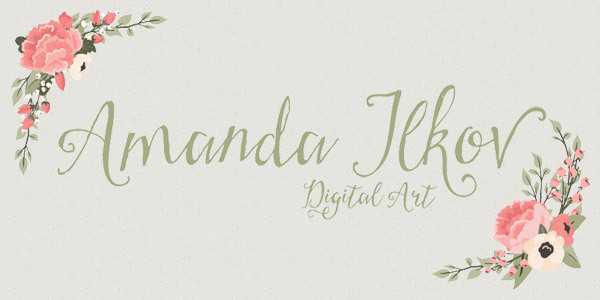 I have some elegant floral clipart to share with my Access All Areas members today, courtesy of Amanda Ilkov from Mandy Art Market. This large, dramatic floral heart from the Spring Garden collection is made from dozens of pretty flowers and comes with tons of coordinating extras, including banners, arrows, hearts, flowers and text. The vector graphics provide sharp, crisp details in every flower, which makes them ideal for pretty wedding art, invitations, wall art and so much more. Mandy Art Market is the home of Amanda Ilkov, a talented illustrator from Toronto, Canada. Mandy creates and sells a range of beautiful illustrations and patterns for crafters and designers in her digital art shop . Her collection includes every kind of graphic you could wish for to create elegant rustic designs, such as detailed floral wreaths, stylish boho patterns and cute woodland characters, all crafted with soft pastel colour palettes. 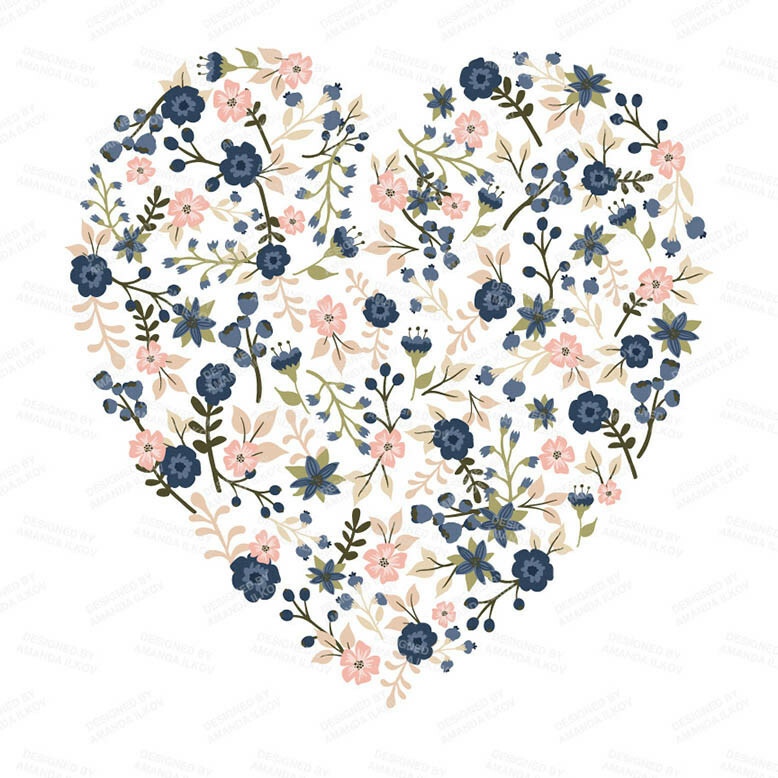 Access All Areas members can now download this collection of Spring Garden Floral Heart Clipart as part of their membership. It contains a mix of floral elements alongside graphics of arrows, banners, hearts and text, all designed as part of Mandy’s Navy & Blush color palette so the elements will naturally complement all her other items from the series. Oh, cool! These are very nice! I thank you and I thank Mandy, too! 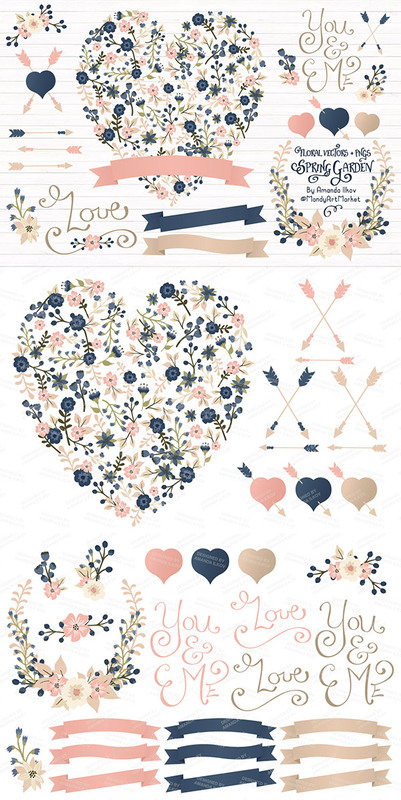 Yes, I agree this large, dramatic floral heart from the Spring Garden collection is made from dozens of pretty flowers and comes with tons of coordinating extras, including banners, arrows, hearts, flowers and text.